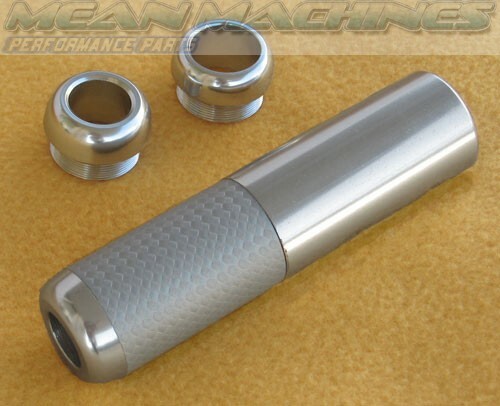 Premium Quality handbrake Sleeve. Made of aluminium and meshed cloth for great grip and comfort. 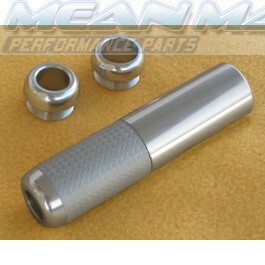 Slide this great handbrake cover straight over your existing handbrake for the ultimate in handbrake styling. It may require the removal of any current plastic sleeves and is ideally paired with a leather gaiter. Comes with 3 different screw-on tips, for handbrake buttons of different thicknesses. A very high quality solid product, part of our premium range. The handbrake cover has a sold heavy feel.